Once signed into law by Governor Haslam, the Division of Elections will be able to implement online voter registration in Tennessee on July 1, 2017. "I want to thank the leadership of Sen. Ken Yager (R-Kingston) and Rep. Gerald McCormick (R-Chattanooga) who sponsored this bill as well as the entire General Assembly for helping streamline the voter registration process to become more accurate and efficient," Secretary of State Tre Hargett said. The new system will allow anyone with a driver’s license or photo ID issued by the Tennessee Department of Safety and Homeland Security to register to vote online. Their information would be checked against the department's database while securely obtaining an electronic signature already on file with the state. An online system would help ensure forms are filled out correctly and completely before being submitted to the county level, Hargett said. It also would allow voter information to transfer to the local county offices more quickly. "I'm thrilled that Tennessee now joins many other states to bring the voter registration process into the 21st century," Hargett said. 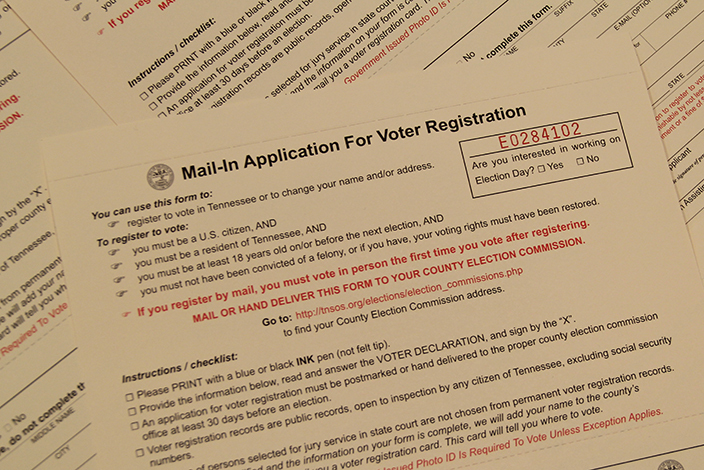 Secretary Hargett published an op-ed on Why Tennessee Needs Online Voter Registration in January.